Sony Handycam not behaving? Our friendly team is happy to help recover your video footage and movies from this mini DVD camcorder. 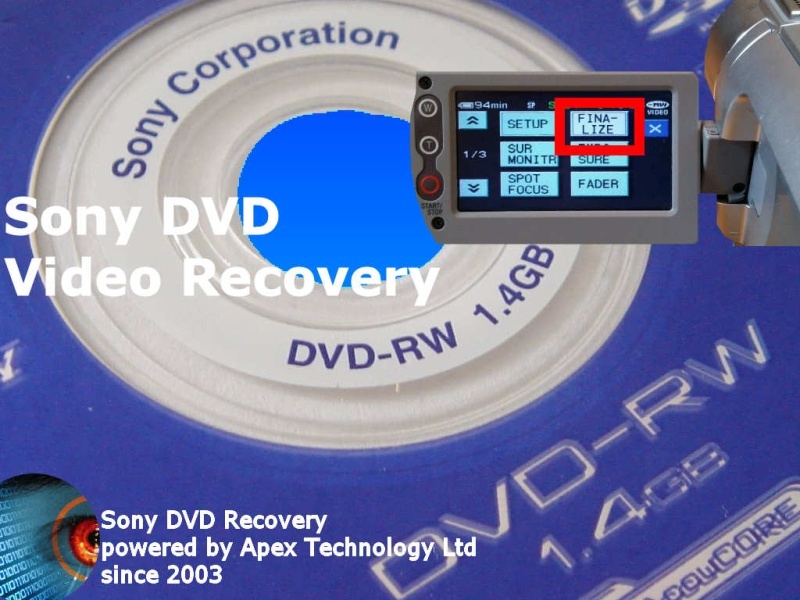 The Sony-RW disk are more frequently used than the DVD+RW discs so we see more of these in for recovery. Problems experienced with the DVDRW are after finalising the disc appears blank and wont show any of the video clips. Further inspection may show record disabled messages or C:13:02 & C:13:00 errors when used on Sony Handycams. The disc will not play on a dvd player and then won't play back on the camcorder. The disk may also show as 0 bytes or empty and request formatting or finalising. We can still recover the video footage from these DVD-RW disk so call or email us now. timescale usually 1-2 days. After recording video the DVD+RW may show empty or blank on playback. Although you can see the burn marks on the disc as evidence of video recorded to it, the disc capacity will show 0 bytes. All is not lost, and the best thing is to leave the disk to one side. 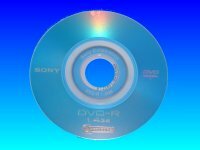 We have seen people attempt to re-finalise the disks in home video players or on their computers. The problem is often those dvd drives do not fully understand the camcorders format, , they then misinterpret the disk and often overwrite critical data and more importantly your precious video footage. After recording video on the camera you may try to play it back for review. Then you discover the disk appears blank showing no videos. An inspection of the underside shows darker rings where the data is burnt but no dvd player or computer recognises the content. Sometimes customers keep trying to finalise the disk in the camera or in other DVD players or even the computer. The only downside to this approach is that sometimes it overwrites the entire disk - especially we have seen this when using Apple Mac computers. Simply place the disk to one side and contact us for data recovery if your video is worth saving. DVD Recovery 13:02 disc empty problems that we recover data from are listed below. Sony DVD+RW recovery, c:13:02 error, format error Sony, empty dvd, 0 bytes dvd, video recovery Sony, Sony mini-dvd finalize, Sony mini-dvd problem, dvd video. 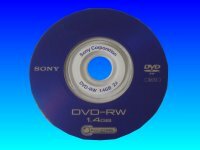 Sony DVD Video Recovery Repair 13:02 error, disc empty, record disabled, dvd+rw dvd-RW.